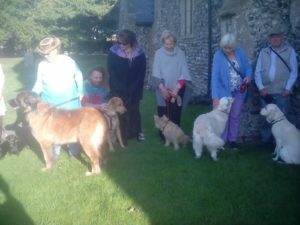 12 dogs and 20 people met together on Sunday 16th September at 4pm in Trimingham Church for the annual pet blessing service. 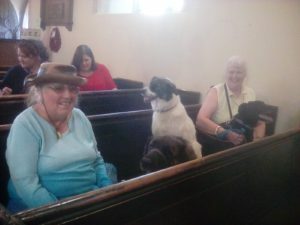 This was conducted by Janet Balfour, Reader, and the hymns were accompanied by Hilaire and her music group. Much fun and hilarity was had by all. 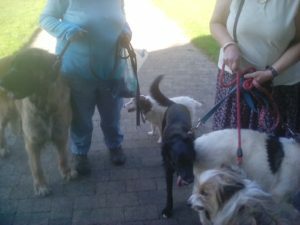 There were some more serious moments when each pet was blessed and the names of deceased pets were included in the prayers.